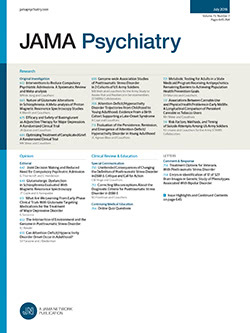 • In a pretest-posttest design with two matched control groups, 86 first-graders screened as vulnerable to academic failure and behavioral decompensation were each assigned to one of three groups: (1) channel-specific perceptual stimulation, (2) regular academic tutoring (contact controls), or (3) no contact. On most measures, including perceptual and achievement tests and behavior ratings by teachers, group 1 showed more improvement than either of the control groups. Several of these differences were significant (P <.05, two-tailed). In general, the two control groups came closer to each other than to group 1. With no further intervention, follow-up one year later showed more dramatic significance. On every measure, group 1's improvement surpassed that of the control groups, and diverged from them even more than at posttest; this divergence was significant on most measures. Group 1 improved significantly (P <.05 to P <.01) in reading, lQ, and three behavior scales, while both control groups showed only deterioration on these measures. Group 1 gained five IQ points on the Wechsler Intelligence Scale for Children, while the controls lost five. On the Davids Scale, group 1 improved significantly (P <.01) to "probably not hyperkinetic," while both control groups deteriorated to "probably hyperkinetic." The hypothesized mechanism of group 1's behavioral superiority at follow-up was its significant (P <.01) reading improvement, with secondary emotional benefits.